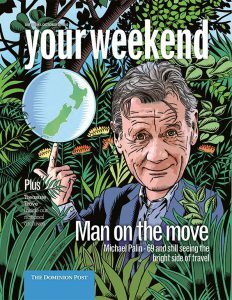 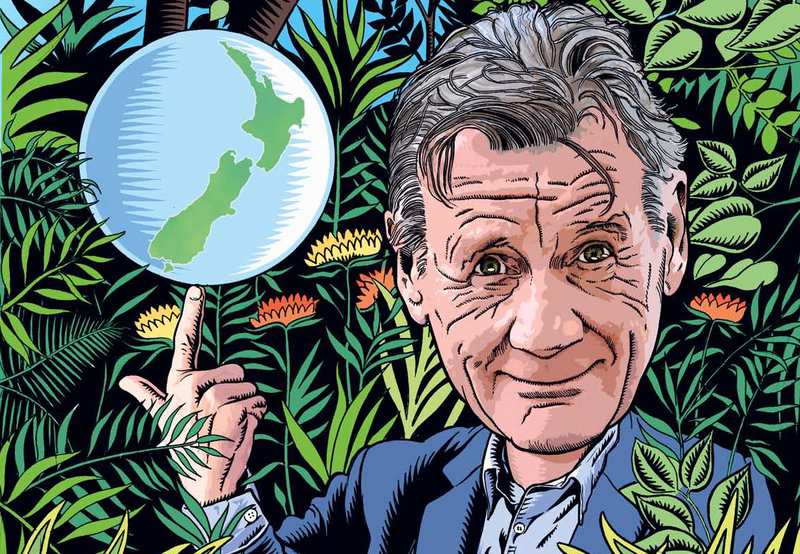 Canon Media awards-nominated illustration for Your Weekend magazine, featuring an interview with Michael Palin. 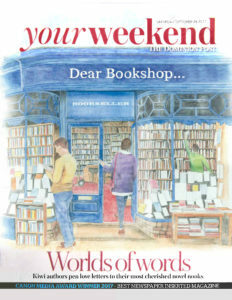 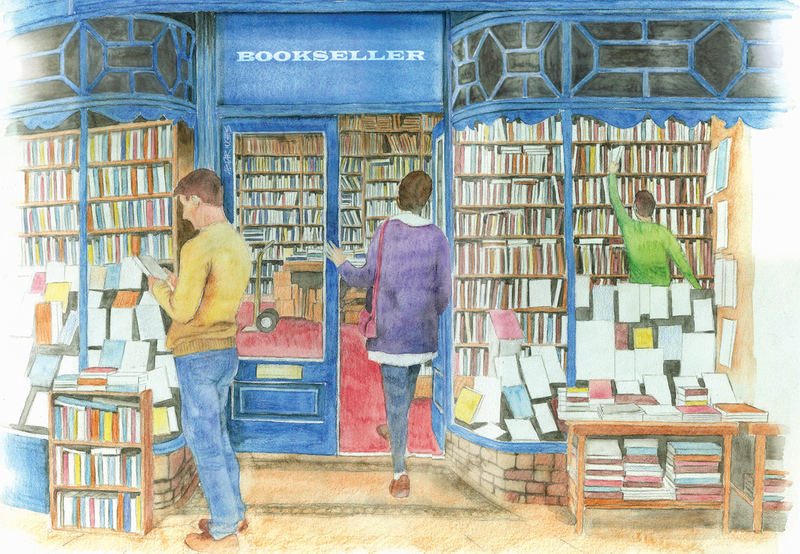 A watercolour painting used on the cover of Your Weekend, to illustrate the main feature about favourite bookstores. 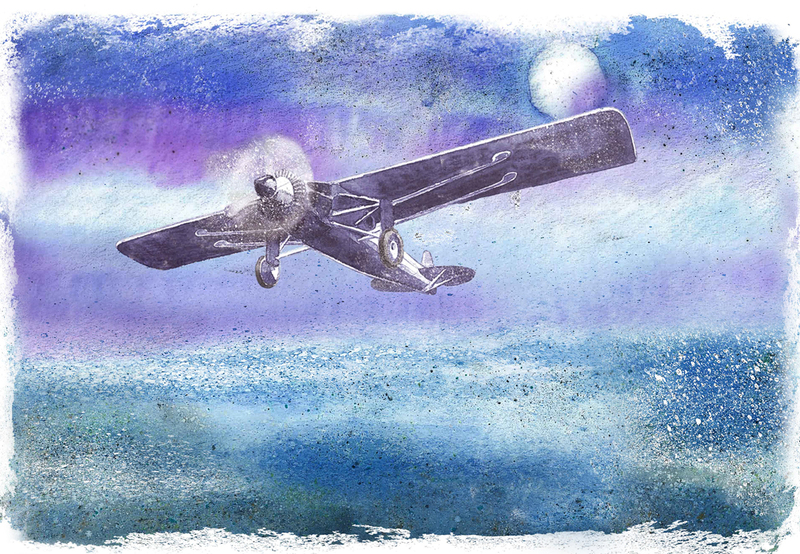 A depiction of the final flight of the Aotearoa, which disappeared in 1928, during the first trans-Tasman air crossing attempt. 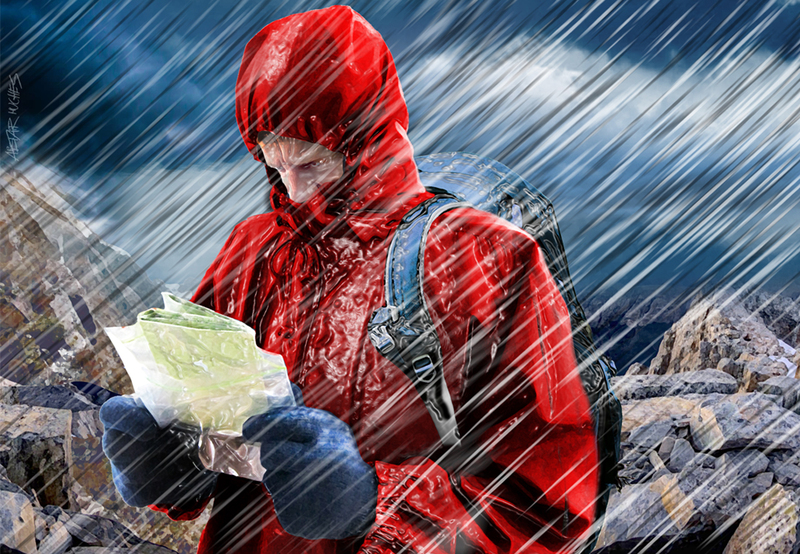 An illustration accompanying a feature about a climber who became trapped by bad weather in the mountains. 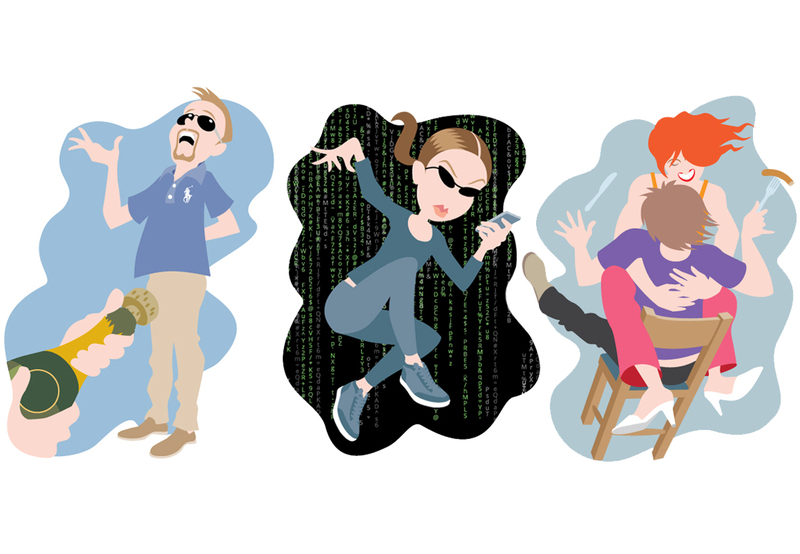 A few examples from a set of illustrations produced for Sunday magazine to accompany a satirical article about embarrassing family Christmasses. 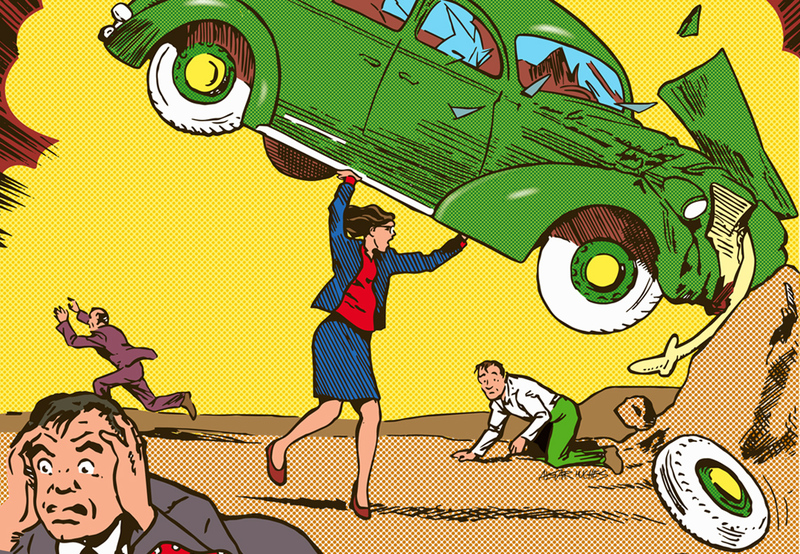 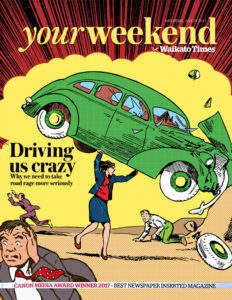 A pastiche of a famous comic cover from the 1930s, used to illustrate a Your Weekend cover story about road rage. 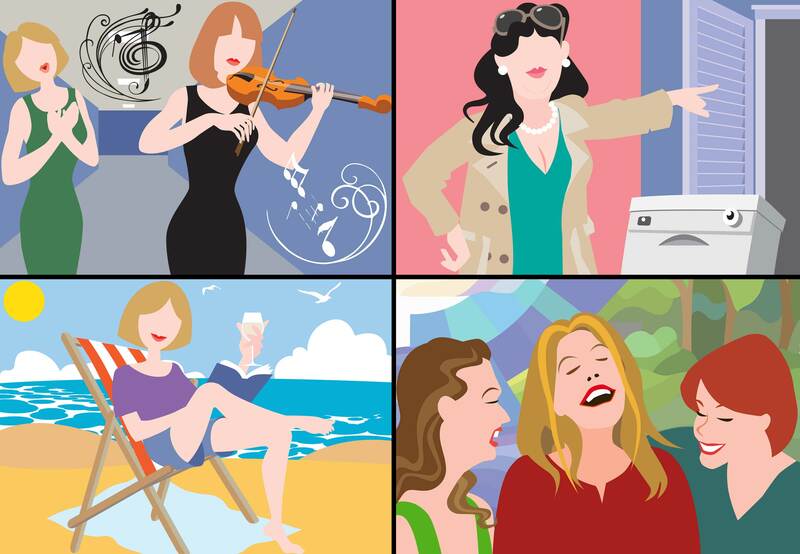 Examples of illustrations from a weekly column for Sunday magazine. 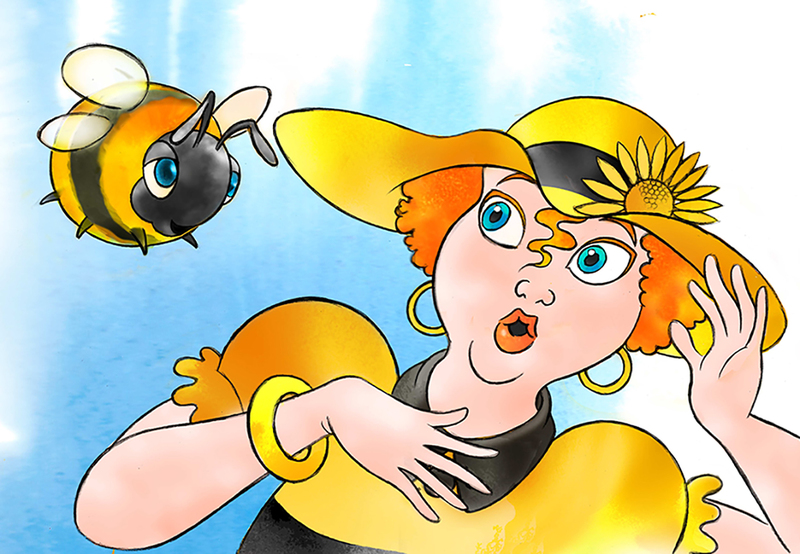 An illustration from a children’s book about a yellow-and-black dressed lady attracting the unwanted attention of a bumblebee. 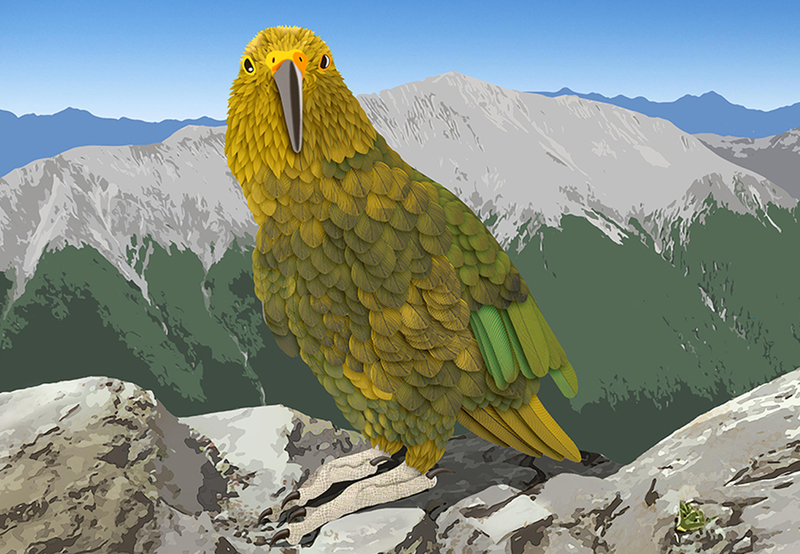 One of several double page illustrations for an upcoming young reader’s book about our amazing alpine parrot.